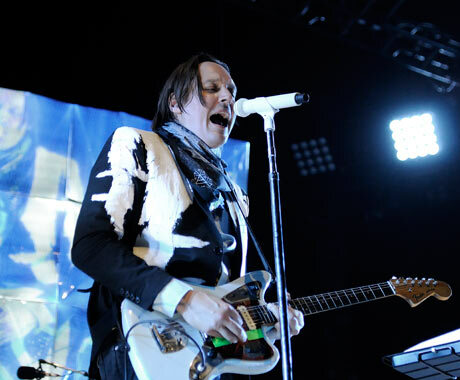 As Arcade Fire continue touring, so too do they resume their endless string of new cover tunes. The latest of these is a rendition of "Back in Time" by Huey Lewis and the News, which is best known as appearing in Back to the Future. The cover was performed last night (August 11) in Edmonton, AB, presumably because Back to the Future star Michael J. Fox hails from the city. Just as you'd hope, the cover is a boppy rocker with lots of cornball sax. Check out the fan-shot footage below. The cover tune only lasts for a couple of minutes before suddenly segueing into "Here Comes the Nighttime."